Grupo Progreso, under the direction of incumbent Bacolod City Mayor Evelio Leonardia, is banking on a 15-0 victory in the upcoming 2019 midterm elections. Their projection could become a reality if there are no strong candidates to put up a challenge. At present, it would appear nobody has declared their intentions to contest the incumbent. A strong candidate with the right political machinery (and resources) can win. Bacolod City Councilor Ricardo Tan was expected to be the standard-bearer of the opposition with his anti-graft and corruption advocacy. It was a surprise when he decided to back out of the race for mayor. What went wrong? What happened? During a press conference, the city official was emotional, announcing he was quitting politics and would not seek any position in the upcoming polls. There must be a justifiable reason for the decision, which only he knows. 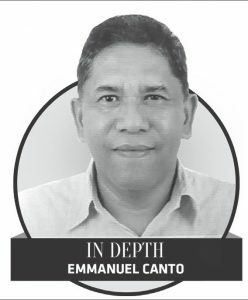 Although, with the contributions he has already made to the province, with his Campuestohan Highland Resort in Talisay City, Tan does not need to hold public office in order to serve the people. Among other potential candidates, rumored aspirant, Abang Lingkod partylist Rep. Stephen Paduano, said he was no longer interested in the job; while former Bacolod City councilor, Atty. Lyndon Caña, has maintained his silence on the matter. There is also word many former city councilors will be seek a position on the Sangguniang Panlungsod (SP). Are these people not content unless they are in power again? There are plenty of qualified Bacolodnons, why are we recycling politicians? Sure, some city councilors have a good track record, but there are also those who did not perform, why put them back in office? City residents deserve new faces in the SP (especially ones who are not “trapo”). This is a first class city and it deserves first class, independent legislators. We need city councilors with values in mind, unconcerned with pandering to constituencies or protecting voting blocks. An independent vice mayor is also necessary.